There are so many fun facts about Bunnies! Let’s learn with facts about rabbits for kids! We all love them, they are fluffy and soft – but how much do you know about them? This list of fun facts will help your kids learn all sorts of cool stuff about bunnies. I’ve also made a free printable to help visualize what they will learn. I am a sucker for these little furry animals, my grandma had them and I loved to pet them every time we visited (even after one of them accidentally bit me). They are just so cute! They are also a fairly popular pet and friends that have them say they make a fun pet. Let’s learn about this furry mammal! A baby rabbit is called a kitten or a kit. Male rabbit is called a buck. All rabbits except cottontail live underground. They have 5 toes on their front paws and only 4 on their back paws. Their ears can be more than 10 inches long. Rabbits sleep with their eyes open. More than half of the world rabbit population lives in North America. 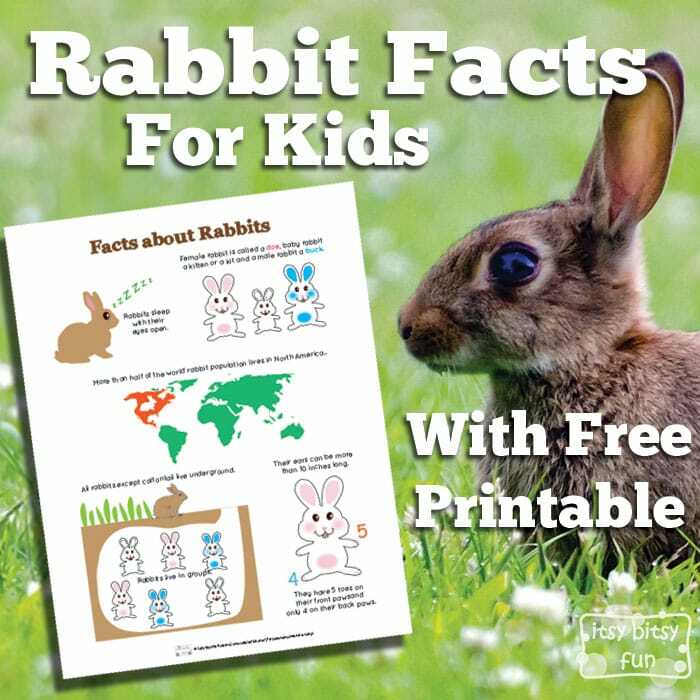 Free Printable PDF with Rabbit Facts. 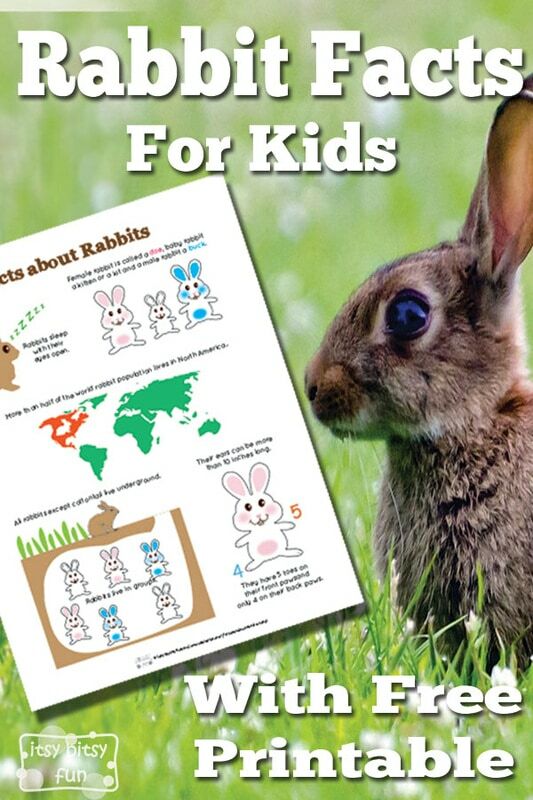 Get your free printable Rabbit facts for kids here. Want more? Be sure to check the cloud facts for kids too! Also check these sweet bunny printables!